When designing footprints for electrolytic capacitors it is important to place clear indicating marks to show the components’ orientation. Since this style of capacitor is polarized (they have to be placed in a certain orientation) they must have indicating marks on the PCB to help determine how they should be placed. Clarity in marking components is key to making sure that the manufacturing of your design goes smoothly and the blue smoke does not escape your capacitors. Even more so are electrolytic capacitors made from tantalum as they tend to have catastrophic consequences when they are powered up backwards. Electrolytic Capacitors are one of the most popular types of capacitors used on board design. They are low cost and provide a good balance of physical size and capacity. There are four physical flavors of electrolytic capacitors; SMT Can, SMT Case, PTH Radial, and PTH Axial. Each style is marked slightly differently. They are usually marked with a band on the cathode side of the capacitor indicating the negative terminal but there are some exceptions. 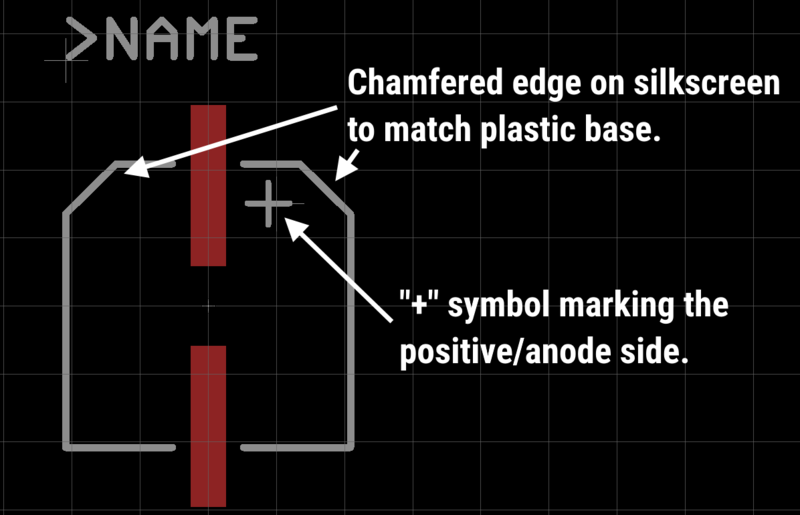 This is different from the typical schematic symbol which is positive or anode marked! The typical polarized capacitor will look like the image below on the schematic. 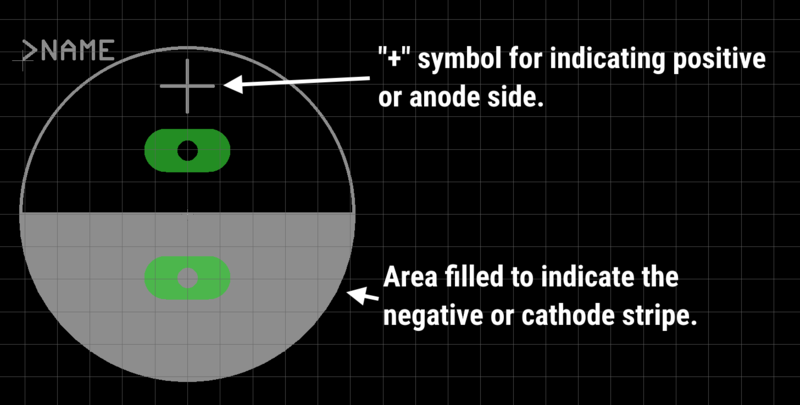 The positive or anode side of the capacitor is marked with a “+” symbol. 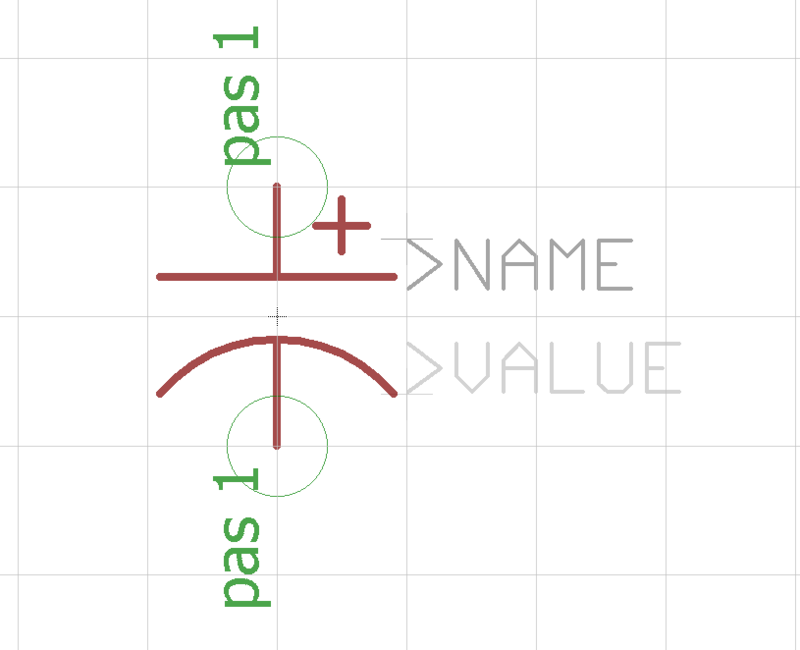 Since electrolytic capacitors are polarized, I use a symbol (shown below) on my schematics. Schematic symbol for polarized capacitors as shown in Eagle. These capacitors are marked on the top of the can with a black mark. The mark’s color sometimes depends on the manufacture however. The plastic base of the capacitor are also chamfered on the positive or anode side. SMT Can Electrolytic Capactor: Marking indicates negative or cathode side. Footprint of a typical SMT can electrolytic capacitor. 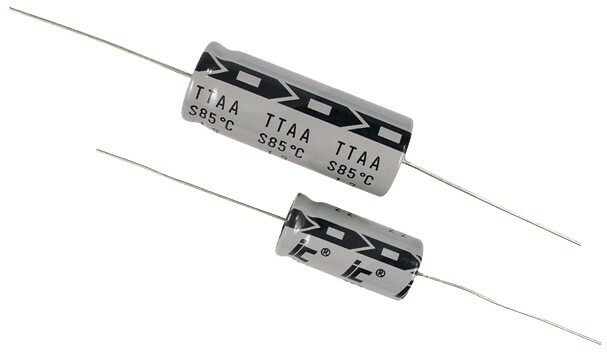 Capacitors of this type usually have tantalum or niobium inside but there are a few polymer electrolytic. Case style means it is shaped similar to a 0805 resistor or ceramic capacitor. 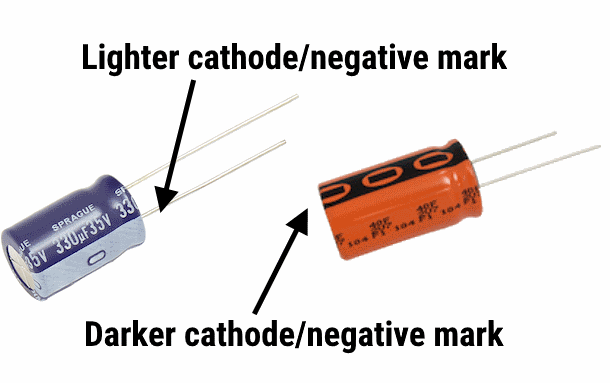 Unlike the other packages for capacitors, these are typically positive or anode marked. SMT case style electrolytics are usually anode/positive marked. Watch out! Footprint for SMT case style electrolytic capacitors. Radial caps have both the anode and cathode leaving one side of the capacitor. 99% of the time these are marked with a contrasting strap down the cathode or negative side of the capacitor. PTH radial polarized electrolytic capacitor markings. Footprint for PTH radial style electrolytic capacitors. Axial style capacitors are not used very often but are interesting in how they are marked. A negative or cathode band runs down the side of them similarly to the radial style but there is an arrow in the marking that indicates which side is negative or the cathode. PTH axial style electrolytic. The cathode strip points towards the cathode. Footprint for a PTH axial style electrolytic capacitor. The most important thing to remember is to check your parts data sheet and see how the polarity is marked on the part. Copying how the part looks on your boards silkscreen will guarantee a much higher success during assembly of the board. 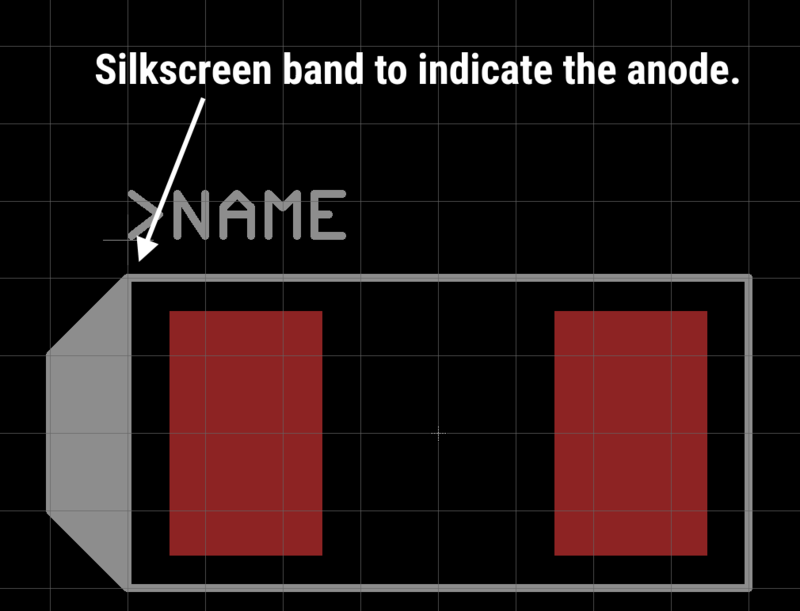 I hope this will improve your footprints on your board and make your products and prototypes easier to build. Next time on the footprint files we will be discussing tantalum capacitors. Was this post helpful?  Are there other topics you’d like us to discuss? If so, let us know on Twitter.